Peyton with Representative Kraft-Tharp and House Speaker KC Becker after he recited the Pledge of Allegiance for the rest of the House members during the House of Representatives Floor Work on Monday, April 1. 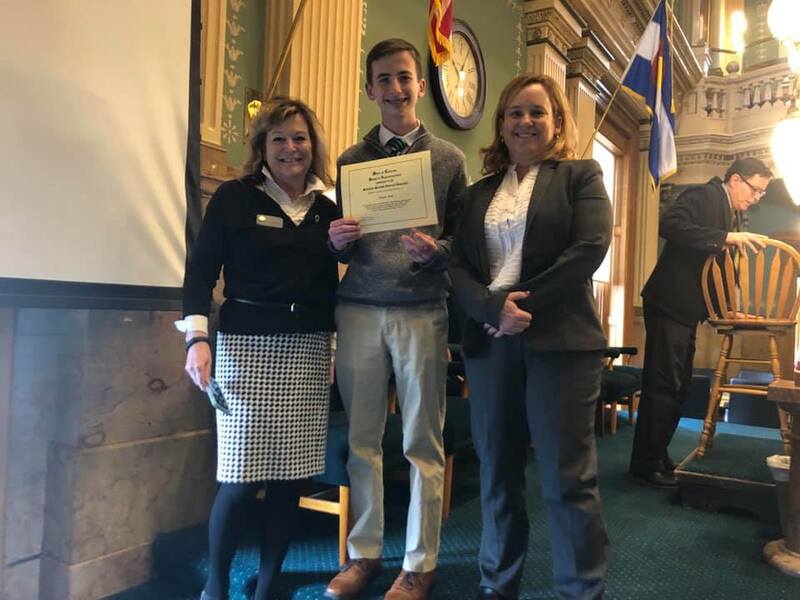 On the week of March 31, Peyton Hall, a sophomore from Eastern Kentucky traveled to Colorado to spend the week with Representative Kraft-Tharp. Peyton is the cousin of Representative Kraft- Tharp and her husband Vern Tharp. During Peyton’s stay he not only had the opportunity to see the Rocky Mountains but he served at the House of Representatives. Throughout the week Peyton worked on bill briefings, attended committee meetings, watched the House Floor Work, and testified for Representative Kraft-Tharp’s new Food Truck bill. During his stay, Peyton also led the House of Representatives in the Pledge of Allegiance during his first morning.